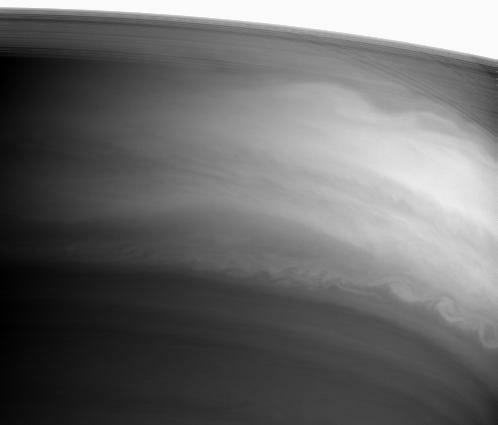 Saturn's bright equatorial region displays prominent swirls and eddies in this Cassini image taken on September 15, 2004. 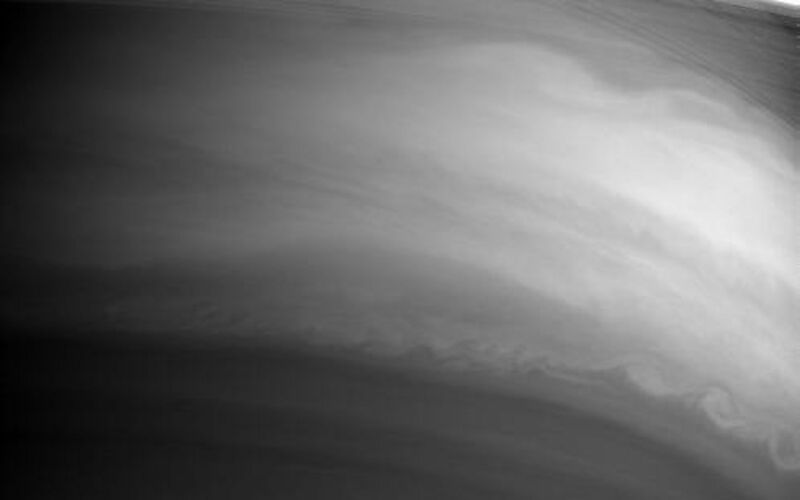 The bright arc across the top of the image is Saturn's B ring, which was overexposed in this atmosphere-targeted image. Beneath this bright swath, the sheer C ring grants Cassini a view of thin shadows the rings cast onto the planet. 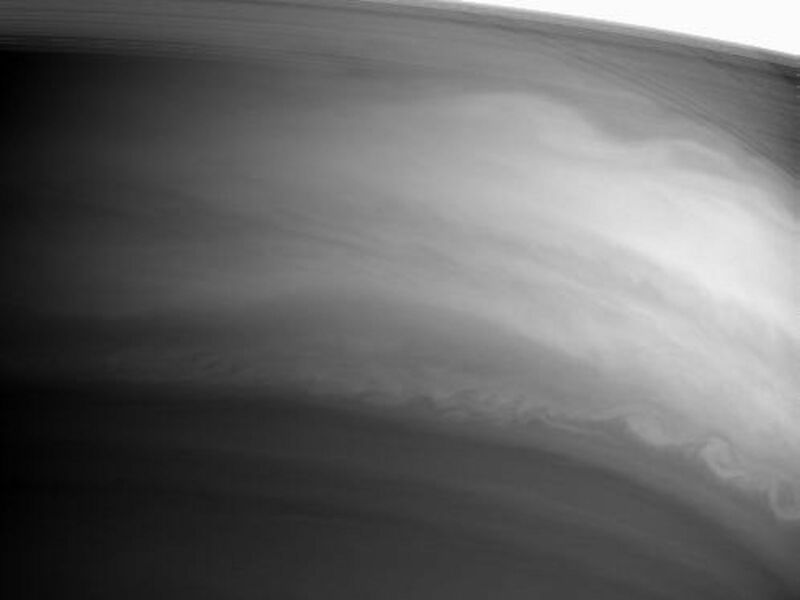 The image was taken with the Cassini spacecraft narrow angle camera at a distance of 8.5 million kilometers (5.6 million miles) from Saturn through a filter sensitive to wavelengths of infrared light. 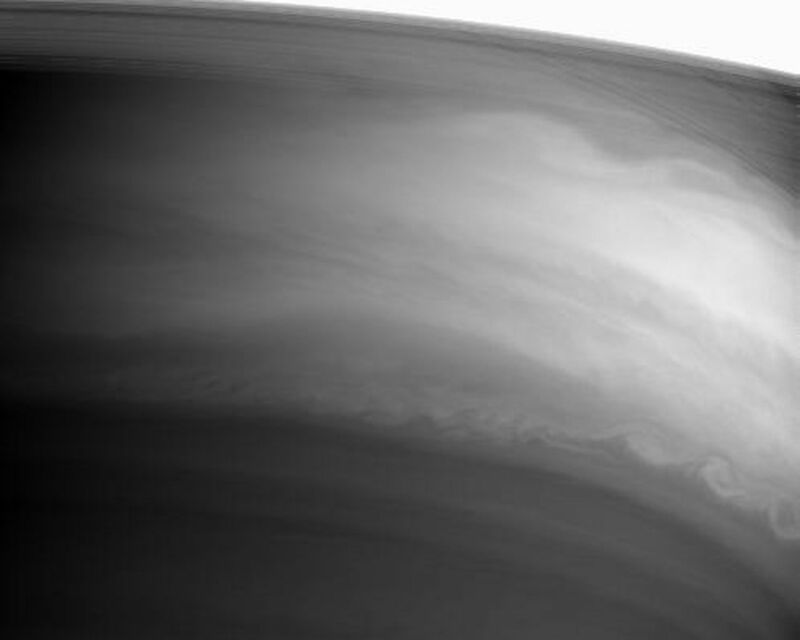 The image scale is 101 kilometers (63 miles) per pixel.